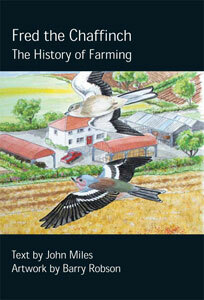 This is the sixth book in the series based on a bird which gives its name to the history of farming! Chaf is the waste left by taking corn from the stem of various grasses raised by early man to this present day. 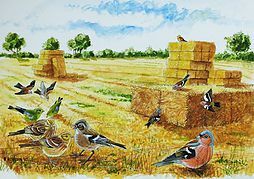 The story covers the history of the chaffinch from its first remains found in a cave in Derbyshire to the first drawing found on a mosaic in Pompeii Italy. 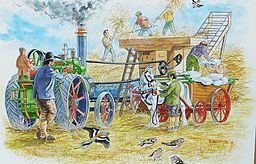 It tells you the effects of the move from old to modern farming on the bird and even shows Charles Darwin with his famous beaks!